As everyone is trying to guess whether the next big Android update is going to be Key Lime Pie or not, and whether the release will be Android 5.X or 4.X, we have yet to hear anything concrete. AndroidPolice have the evidence of new android version which is Android 4.3, after getting a tip from an eagle-eyed reader (thanks, deepayan!) 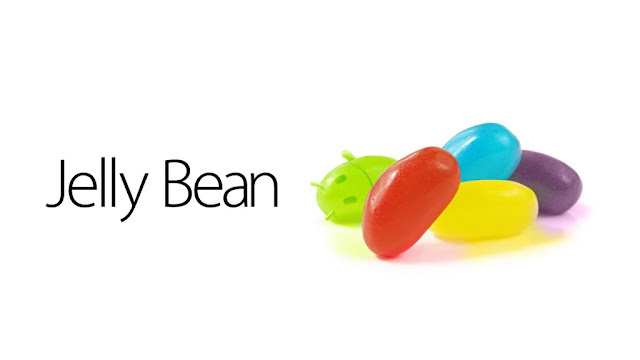 and digging deeper, I can definitively tell you that Google is currently working on Android 4.3, and it is still Jelly Bean. Reddit user danrant has chimed in with a whole bunch of other evidence that points to an incremental Jelly Bean release rather than Key Lime Pie. Go read his comment here. Specifically, the build can be seeen in androidpolice's server logs is Android 4.3 JWR23B, which indicates this is still Jelly Bean (the first letter of the build is always the same as the first letter of the Android version name). Now, you might say that server logs can be easily faked, and it happens all the time. You'd be absolutely right, which is why they would have never posted this had they not traced the IP range to Google itself. In fact, 2 different IP ranges, both corresponding to Google employees. Employees that have a lot to do with Android. It's the same IP range that had previously clued us in to some of the unreleased versions of Android before they were announced. Google does not assign version numbers to internal/test releases. Those are usually called something like JellyBeanMR1 and then assigned proper versions number when they're close to release. Everyone has been expecting Google to unveil the newest version of Android at the conference, as Google has traditionally done in the past. Most have suggested that it would be Android 5.0, Key Lime Pie, or some other dessert starting with K, meaning a big leap from Jelly Bean, usually requiring app compatibility updates and bringing serious architectural changes. Think Android 3.0 compared to 2.X and Android 4.0 compared to 2.X and 3.X. Thatkind of big.